Gifted with the Pattern Room by the Ministry of Defence, August 2005	Gifted to the Ministry of Defence Pattern Room by Durham police, Durham, October 1997 Made by Mauser in 1897. 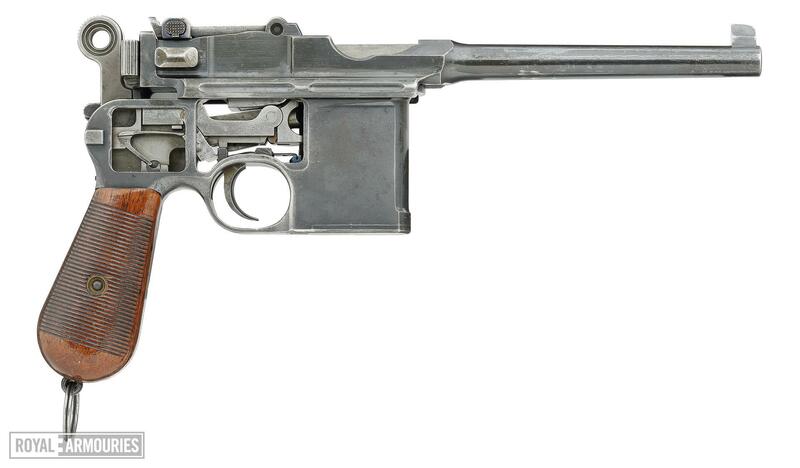 Standard (albeit sectioned) 10-shot commercial 'large ring hammer' Mauser C96 pistol with standard size frame and barrel length. 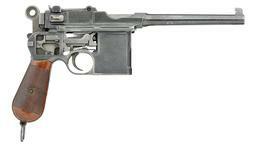 Typical features including large ring hammer, shallow milled panels in frame, rear sight graduated 50-1000, later firing pin retainer, first type safety catch, integrated trigger unit, long extractor, and 'Waffenfabrik Mauser' nock's form marking. Recorded by Pattern Room as having wooden holster-stock but stock fitted is a replacement from a much later gun. 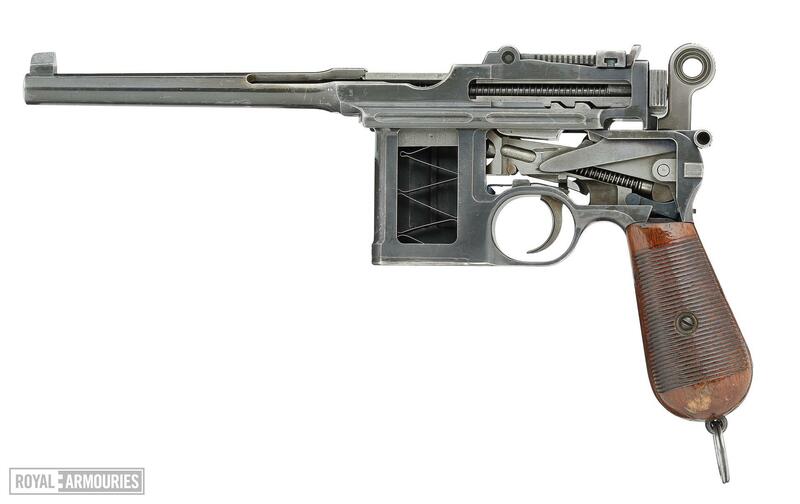 Typical rust-blued finish on frame and barrel/barrel extension, extractor and rear sight fire blued, internal parts and the hammer case-hardened. 34-groove walnut grips. No proof marks. Additional serial number on barrel extension suggests this once belonged to another pistol from the same (very limited) production run.